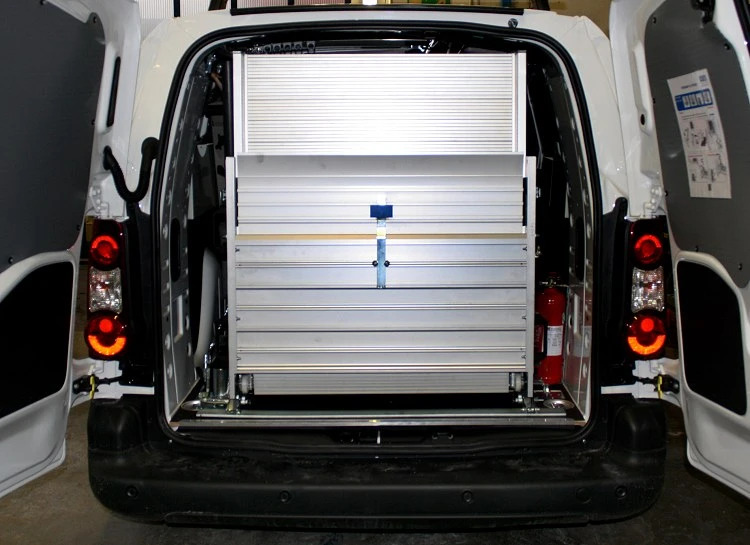 LOAD AND UNLOAD CARGO SAFELY WITH EASE! 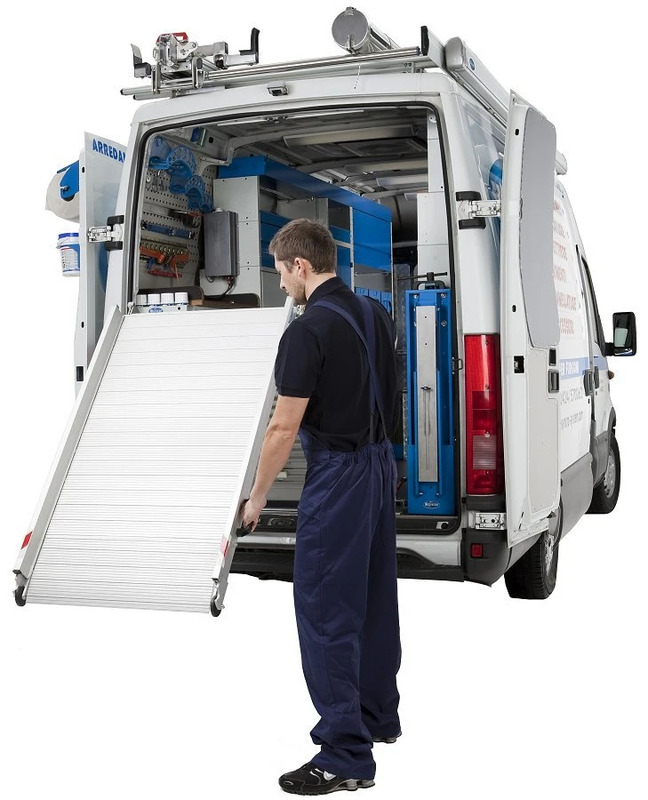 Syncro System loading ramps allow you to load and unload small vehicles, equipment, trolleys and any other items safely and easily. 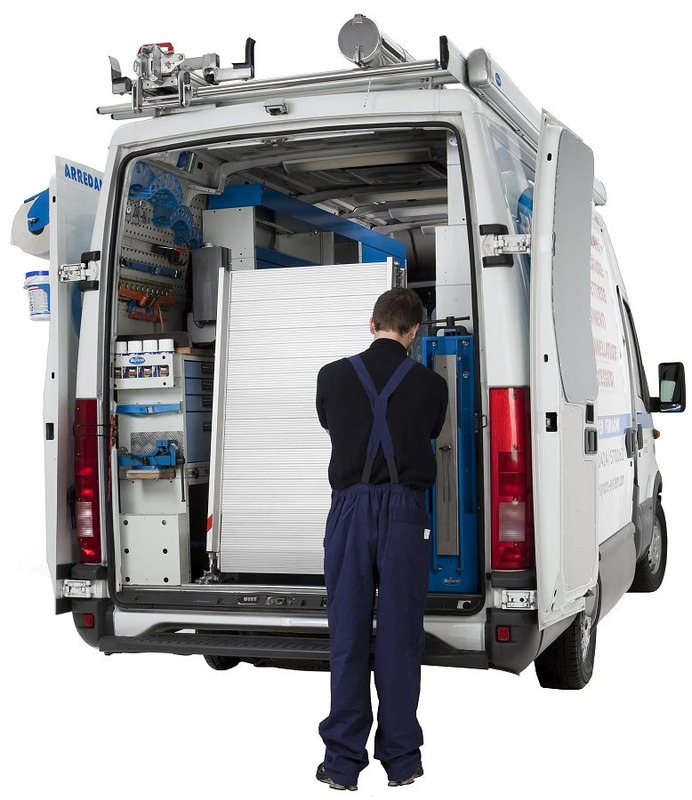 Various models available with loading capacity up to 15 q. 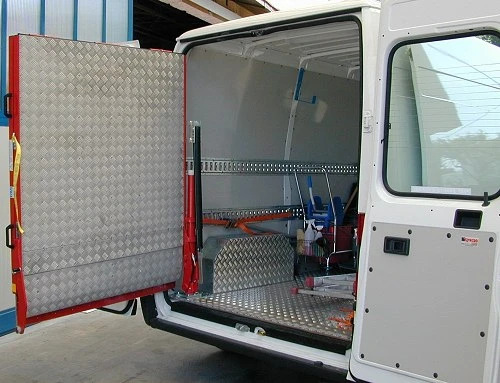 Features and dimensions vary according to cargo, van and customers requirements. 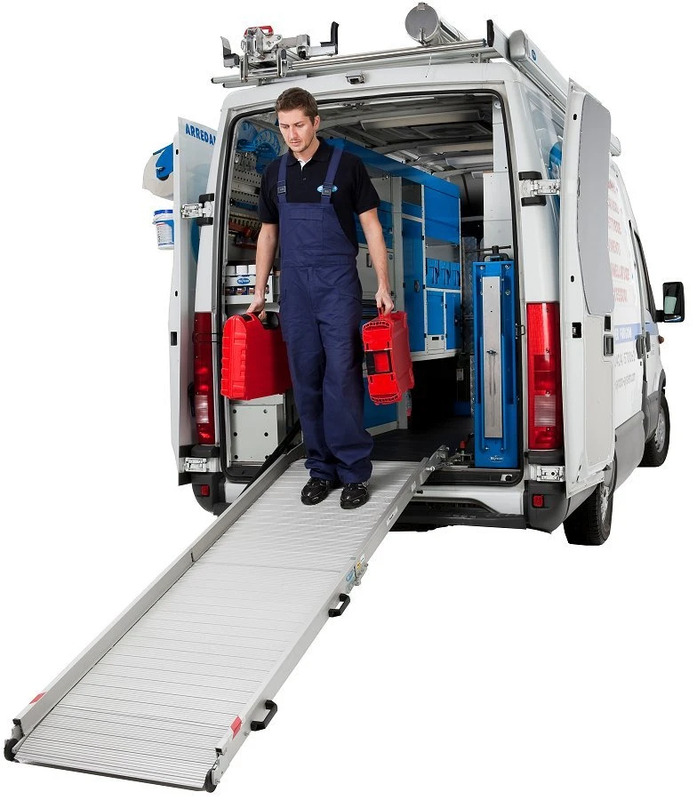 When the ramp is not required, it can swivel sideways to access the van easily and quickly. 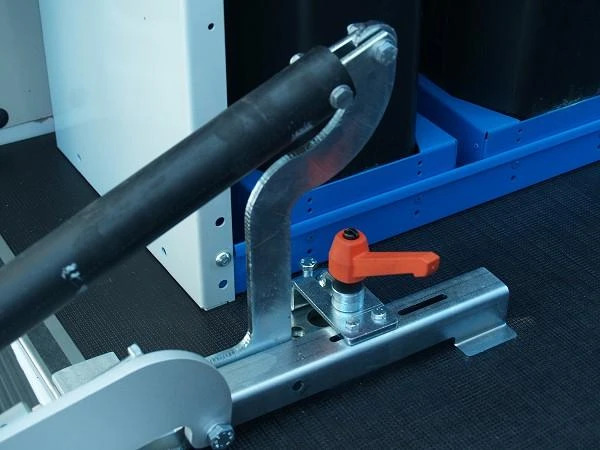 Construction in light alloy, weights from only 40 kg. 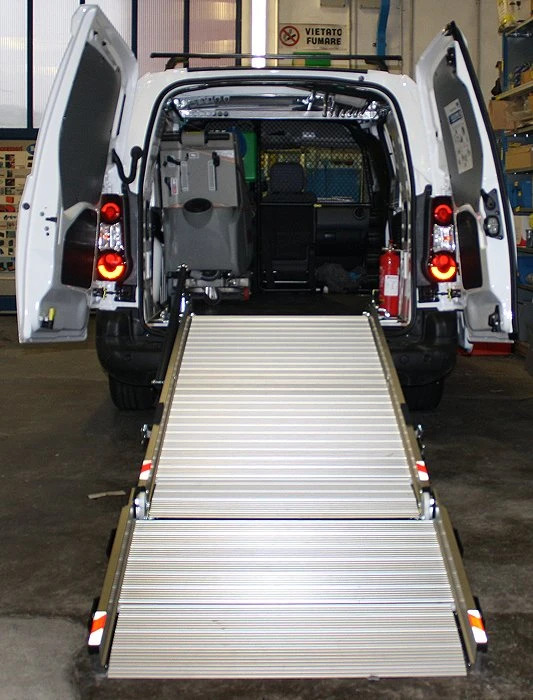 Equipped with rapid fastening system that facilitates transfer of the ramp from one vehicle to another. 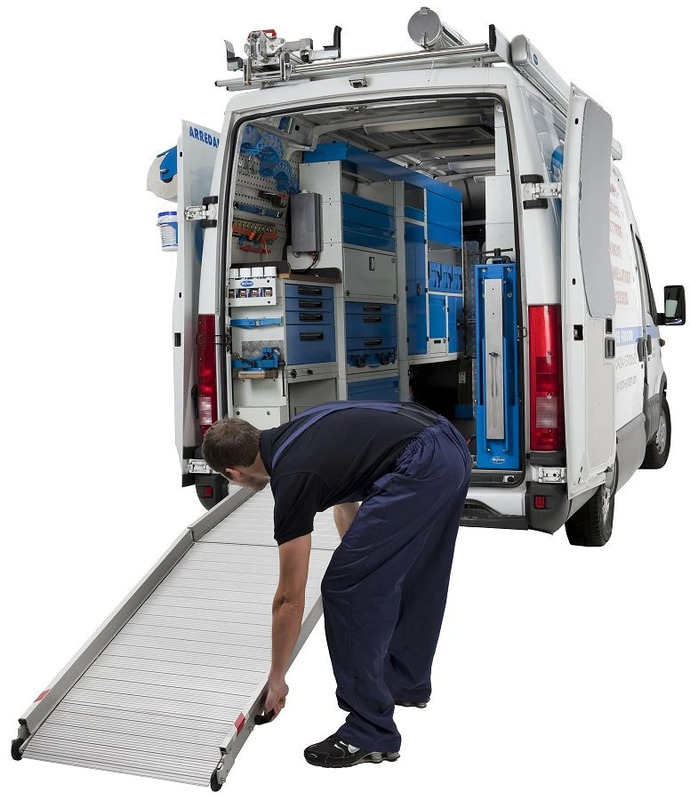 Suitable for all commercial vehicles. 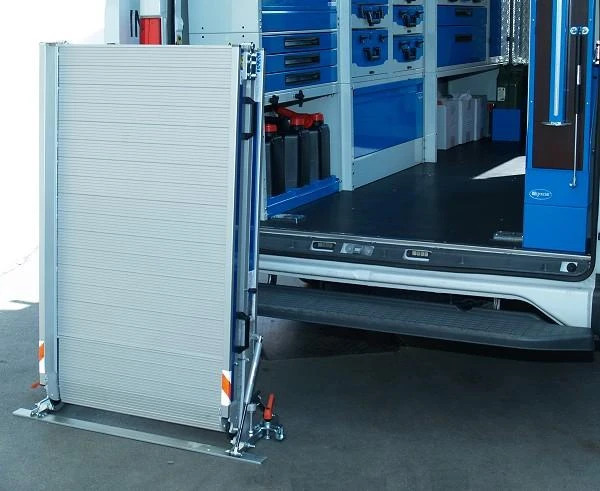 Easy installation with a simple mounting kit. 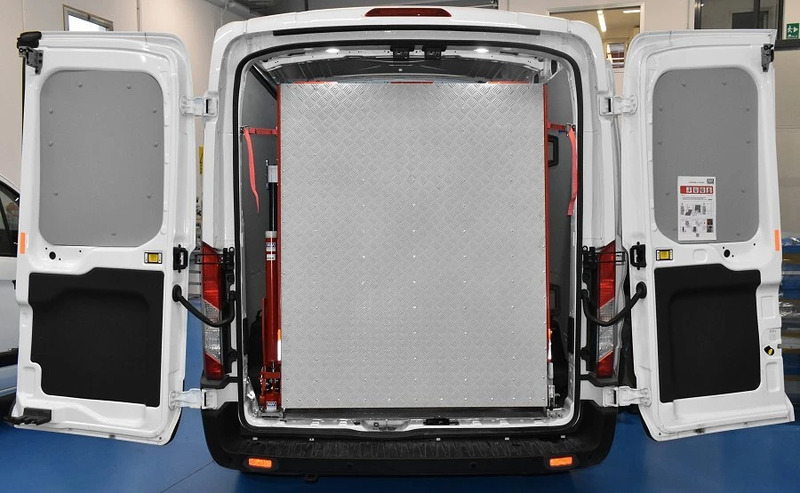 Once removed, only the fastening plate remains on the van. 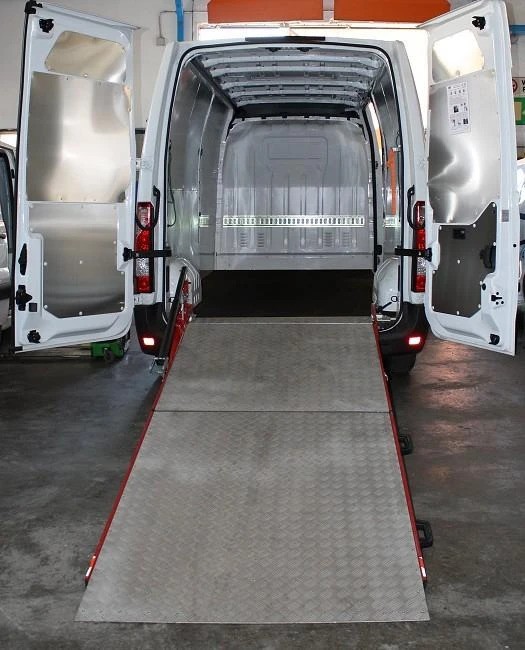 Adjustable plates on the front and rear of the ramp to facilitate loading even with small wheels and low machines. 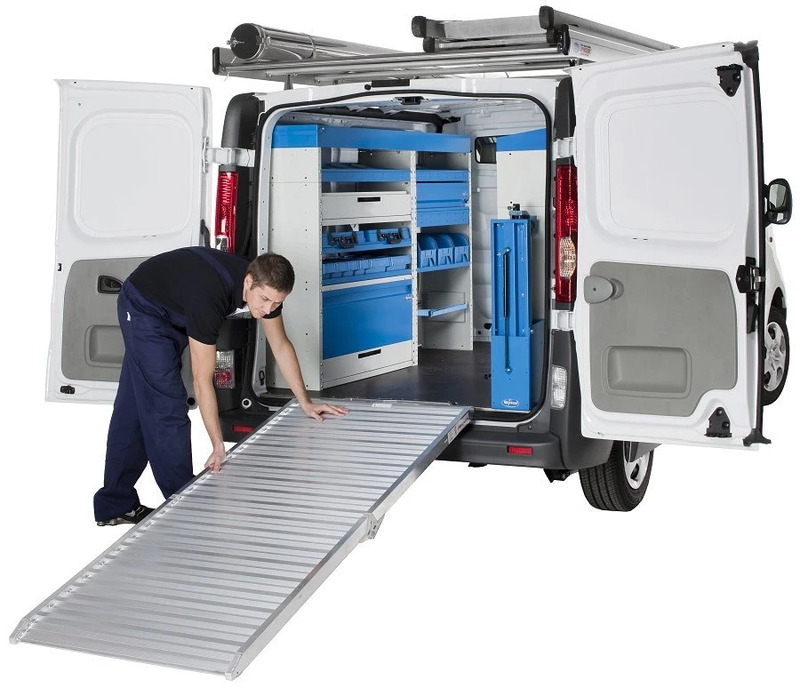 The Syncro cargo ramps can be mounted on every van make and model. 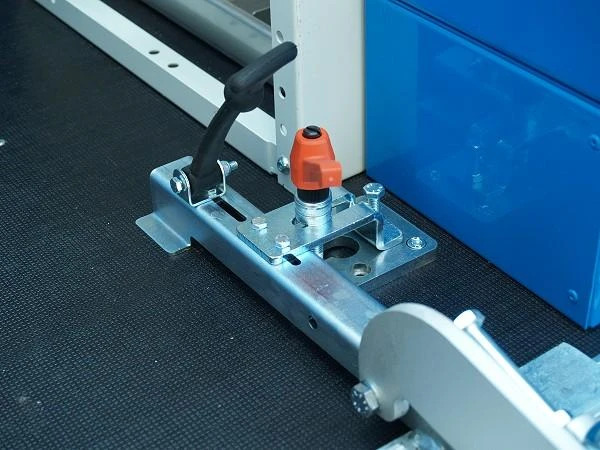 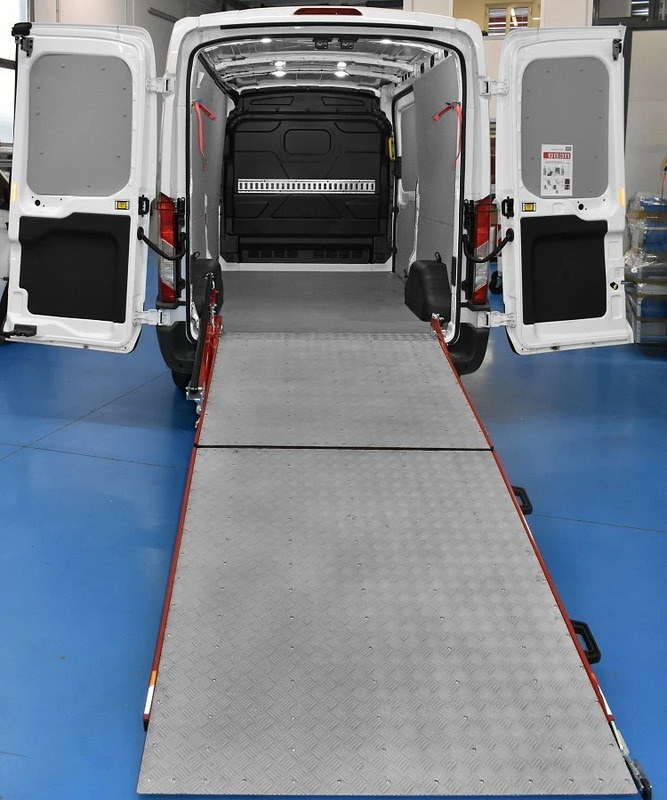 We even offer various solutions when the dimensions of the load compartment limit the size of the ramp that can be installed. 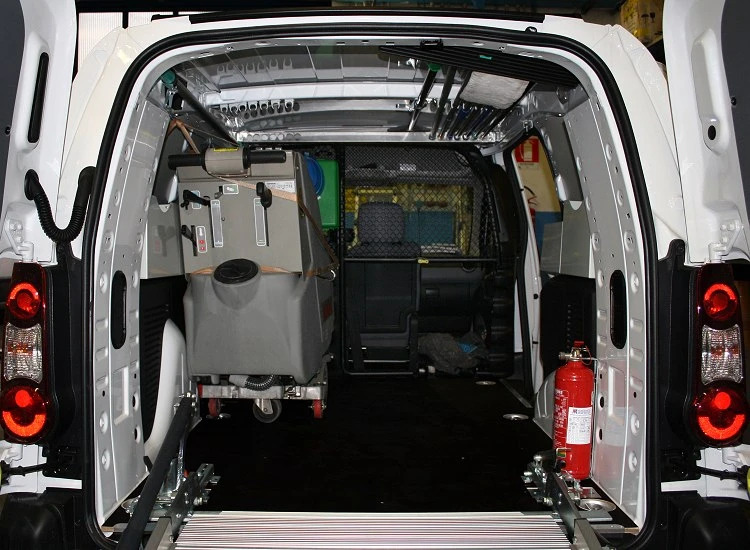 The photos on this page show an upfit of the Citroen Berlingo L2, with a 3-part fold-out section, to be able to accommodate the easy loading and unloading of the client's floor cleaning machine. 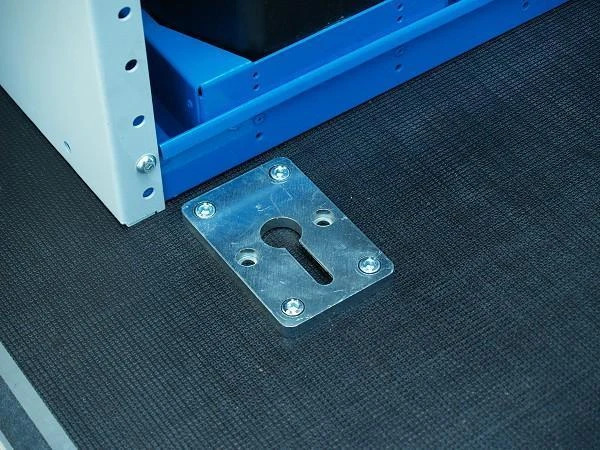 The ramp is the Light Model ramp, made of aluminum and complete with rotating apparatus, so it can be swung out of the way to allow clear access to the cargo area when it is not in use.